Clinically diagnosed depression is the most common mental illness, affecting over 6% of the population. Major depression can be quite debilitating. It is also generally episodic, coming and going. Some people only have a single episode but most have multiple reoccurrences of depression. Depression can be difficult to treat and usually treated with anti-depressive medication. But, of patients treated initially with antidepressant drugs only about a third attained remission of the depression. After repeated and varied treatments including antidepressant drugs, therapy, exercise etc. only about two thirds of patients attained remission. Also, many patients who achieve remission have relapses and recurrences of the depression. In addition, antidepressant drugs often have troubling side effects and can lose effectiveness over time. Being depressed and not responding to treatment or relapsing is a terribly difficult situation. The patients are suffering and nothing appears to work to relieve their intense depression. Suicide becomes a real possibility. So, it is imperative that other treatments be identified. Mindfulness training is another alternative treatment for depression. It has been shown to be an effective treatment for depression and is also effective for the prevention of its recurrence. Mindfulness Based Cognitive Therapy (MBCT) was specifically developed to treat depression and can be effective even in the cases where drugs fail. MBCT is usually delivered by trained certified teachers but is fairly scripted and standardized. So, it is unclear what the importance of the level of teacher training and competence is. In today’s Research News article “Teacher Competence in Mindfulness-Based Cognitive Therapy for Depression and Its Relation to Treatment Outcome.” See summary below or view the full text of the study at: https://www.ncbi.nlm.nih.gov/pmc/articles/PMC5506231/, Huijbers and colleagues examine the importance of the competence of the MBCT teacher in the effectiveness of MBCT for depression. They recruited patients who had had at least 3 episodes of depression, were in remission, taking antidepressants, and were engaged in a Mindfulness Based Cognitive Therapy (MBCT) program. MBCT was delivered in of 8 weekly sessions of 2.5 hours. Patients were measured before and after MBCT training and 15 months later for rumination, self-compassion, mindfulness, cognitive reactivity, depressive symptoms, and depression relapse. The MBCT teachers were assessed for competence by two independent professional evaluators who rated a tape recorded MBCT session for “(1) coverage, pacing, and organization of session curriculum; (2) relational skills; (3) embodiment of mindfulness; (4) guiding mindfulness practices; (5) conveying course themes through interactive inquiry and didactic teaching; and (6) holding of group learning environment.” An overall competence rating was calculated as the sum of the 6 component competence scores. They found that following treatment there were significant increases in patient self-compassion and mindfulness and significant decreases in rumination and cognitive reactivity. They also found that teacher competence did not significantly predict the number of sessions that the patients attended, and patient changes in self-compassion, mindfulness, rumination, and cognitive reactivity, or depression severity. In addition, the likelihood of relapse during the 15 month follow-up period was not significantly related to teacher competence. This was true for the overall competence and for each of the 6 competence domains. These results are quite remarkable and suggest that the level of competence and expertise of the instructors in Mindfulness Based Cognitive Therapy (MBCT) does not affect the patient outcomes. These results are contrary to the recent findings that the level of teacher training with Mindfulness-Based Stress Reduction (MBSR) programs is associated with the effectiveness of the program to reduce stress and improve well-being. It’s difficult to reach firm conclusion from the negative results of the present study as the range of teacher competencies was restricted wherein only 2 teachers were characterized as beginner and 2 as advanced. The lack of effect of teacher competence may also be due to the fact that MBCT programs are highly standardized and scripted by the treatment protocol and that patients are supplied with prerecorded materials for home practice. Nevertheless, the results suggest that only modest teacher competence and training is sufficient, with a standardized program, to produce maximal results. So, it appears that Mindfulness-Based Cognitive Therapy is effective regardless of teacher competence. 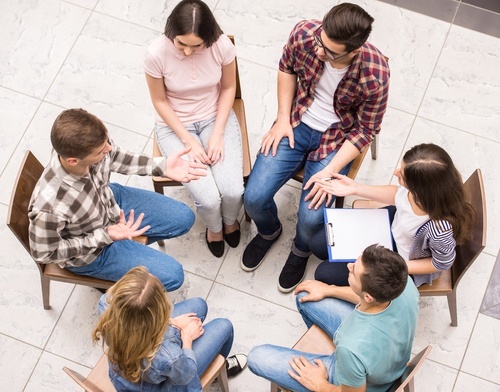 As mindfulness-based cognitive therapy (MBCT) becomes an increasingly mainstream approach for recurrent depression, there is a growing need for practitioners who are able to teach MBCT. The requirements for being competent as a mindfulness-based teacher include personal meditation practice and at least a year of additional professional training. This study is the first to investigate the relationship between MBCT teacher competence and several key dimensions of MBCT treatment outcomes. Patients with recurrent depression in remission (N = 241) participated in a multi-centre trial of MBCT, provided by 15 teachers. Teacher competence was assessed using the Mindfulness-Based Interventions: Teaching Assessment Criteria (MBI:TAC) based on two to four randomly selected video-recorded sessions of each of the 15 teachers, evaluated by 16 trained assessors. Results showed that teacher competence was not significantly associated with adherence (number of MBCT sessions attended), possible mechanisms of change (rumination, cognitive reactivity, mindfulness, and self-compassion), or key outcomes (depressive symptoms at post treatment and depressive relapse/recurrence during the 15-month follow-up). Thus, findings from the current study indicate no robust effects of teacher competence, as measured by the MBI:TAC, on possible mediators and outcome variables in MBCT for recurrent depression. Possible explanations are the standardized delivery of MBCT, the strong emphasis on self-reliance within the MBCT learning process, the importance of participant-related factors, the difficulties in assessing teacher competence, the absence of main treatment effects in terms of reducing depressive symptoms, and the relatively small selection of videotapes. Further work is required to systematically investigate these explanations.